July 2020 will be a busy season for those in the hospitality industry. The Democratic National Convention is expected to bring more than 50,000 visitors to the Milwaukee area. 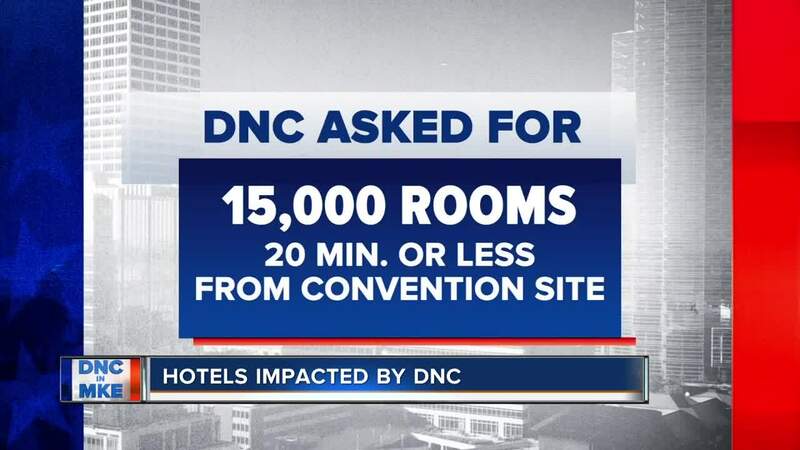 One of the main concerns for DNC officials was the number of hotel rooms available near the convention site. The DNC asked for 15,000 rooms 20 minutes or less from Fiserv Forum. According to Visit Milwaukee, there are 17,500 rooms in the metro Milwaukee area. Marcus Hotels & Resorts owns three hotels in the Milwaukee area, including the largest in the downtown, the Hilton Milwaukee City Center. They have dedicated all of their rooms from their three hotels to accommodate DNC delegates, candidates and officials. "They needed them all, and really everybody is doing that. Everybody downtown and in the market is committing their rooms because to handle a convention of this size, they needed all the rooms. So, we said yes, you can have all our rooms," said Greg Marcus, CEO of The Marcus Corporation. Marcus said the impact of the DNC extends beyond the hotel industry and will show the nation what our beautiful city is capable of. "The next step is planning and getting ready. Our team is focused on it, and we are going to be ready to roll out the red carpet and entertain the world," said Marcus. Over at Potawatomi Hotel & Casino, by 2020 it will have 500 rooms available for the DNC. "We are ecstatic! We have been waiting for this announcement for quite a while. We have been cooperating with the bid all along. We have given 100 percent of our rooms, all 500 and meeting spaces for the event," said Tom Malloy, the assistant general manager of Potawatomi Hotel & Casino. The Iron Horse Hotel has set aside 75 of its 100 rooms for delegates. General manager Brian Fahey said this was a collective effort of those in the hospitality industry coming together to offer rooms for the convention. "It’s amazing you have people from all over the country that will be coming here for this. It’s great exposure for the city of Milwaukee, not only in the hotel community but everywhere," said Fahey. 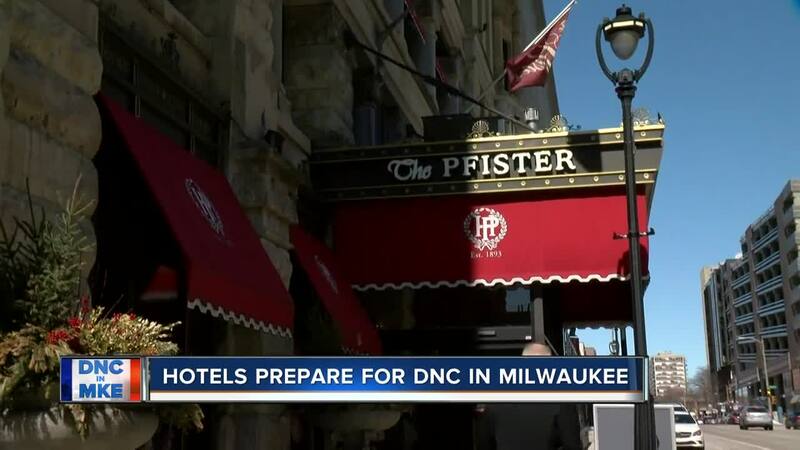 The next steps for the hotels are to work with DNC officials to see which delegates they will accommodate.